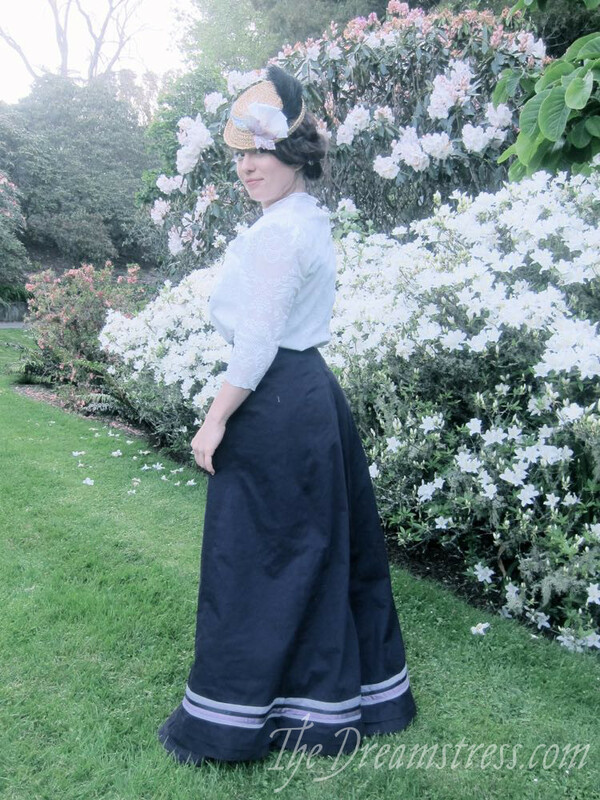 When we’d decided on an ‘Anne of Green Gables’ theme for our Pukekura Park dress ups and photoshoot, I knew costuming ‘Priscilla’ was going to be a bit tricky. She’s petite, and I’m tall, and most of my outfits are made to fit me. 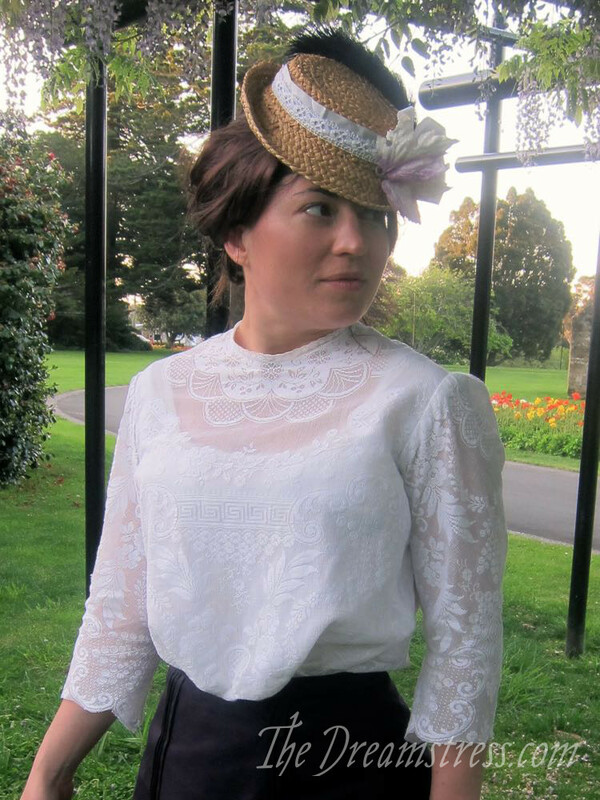 I was super busy the whole week before the our trip, but figured I had plenty of white voile, and could make a simple white voile Wearing History Edwardian blouse in an evening. I took it home and threw it in a Napi-San bath to soak overnight. In the morning, I washed it, and draped it on the drying rack over the dehumidifier, because the weather was foul and we don’t have a dryer. 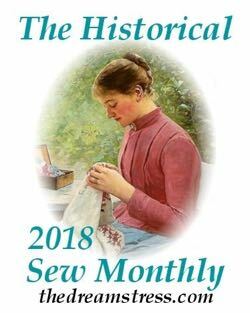 And then I ran around the house like a mad thing packing everything else three girls need to dress up in 1900s garb, and everything I would need for a three day weekend, and making dinner, and re-shaping hats, and trying to do a bit of tidying. Every once in a while I peered at the tablecloth and and rotated it to maximise drying. Finally, around 4, it was dry, so I spread it out on a piece of very white fabric, and found that while the spots had faded, there were still quite a few visible stains. So I carefully marked them with pins, and rearranged and fiddled with the pattern pieces until I found a layout that was not only mark free, but awesome. Then I cut the lining, finished the lining interiors, and flat lined the whole thing, just in time for ‘Stella’ to show up for a pre-road trip sleepover. 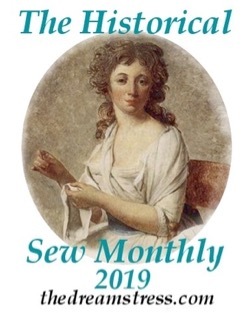 Together we assembled the blouse, set in the sleeves, finished the neckline, hemmed everything, picked buttons, and worked buttonholes on it. We also shortened Priscilla’s skirt, assembled three hats, hemmed my skirt, and worked buttonholes in my skirt. And then we collapsed into bed! The day of the photoshoot we made Priscilla sew on the buttons (while I sewed buttons on my skirt and Stella and I trimmed hats) – so she also contributed to it. Yep. You guessed it. I found a whole bag of buttons for $2, with multiple choices of vintage shell buttons that fit perfectly! Also, the shirt fit Priscilla perfectly (I completely just guessed, and graded between sizes all over the pattern). And she’s madly in love with it, as is Stella, who desperately wants me to sell it to her (and she hasn’t even tried it on!). Stella’s out of luck, but I am keeping my eye out for another tablecloth for her. 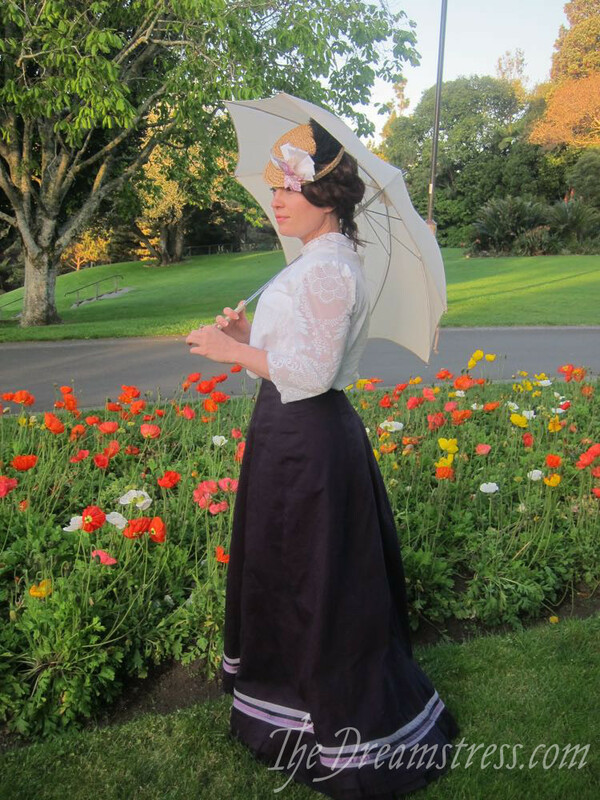 The blouse is a combination of the Wearing History Edwardian blouse, and the Wearing History Edwardian corset cover – I shortened the blouse at the drawstring line, and used the peplum from the corset cover below that, for more controlled front gathers, and less bulk under the skirt. I also modified the sleeve shape to best take advantage of the fabric’s motifs. She’s wearing the blouse with a skirt that the marvelous Lynne made for Lady Bracknell in the production of the Importance of Being Ernest that was also responsible for the wonderful 1900s Greek Key Dress. We had to shorten the skirt a good 5″ for Miss Priscilla, but she looked fabulous in it, and it can easily be let out again. What’s the Secret? 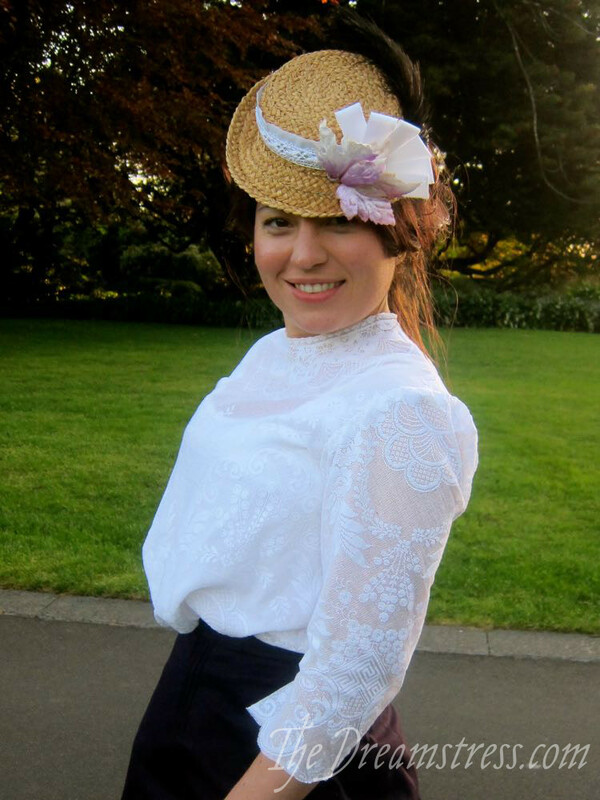 : The blouse is made from a vintage lace tablecloth. This is so absolutely incredible. That blouse, I mean, and the way the motifs work so perfectly on it – what are the chances of finding such a tablecloth, and in cotton to boot? Well, around here at least, they hover very near zero. This is the first time I feel compelled to liken a piece of clothing to a “breath”. Beside its lightness, it has a lot to do with how perfectly effortless(ly elegant) yet nearly miraculous it is. This reminds me (in the best way) of Scarlett O’Hara repurposing curtains for a dress. That whole photoshoot looks like it was so much fun! I wouldn’t have guessed it was made from a tablecloth. The way you’ve cut it, the pattern really looks like it was designed to be a blouse. It’s so pretty, and so perfectly Edwardian! The blouse is amazing, and really does suit Priscilla very well. I have to admit that I’ve never seen such great lace tablecloths in the thrift shops near me. What a story! 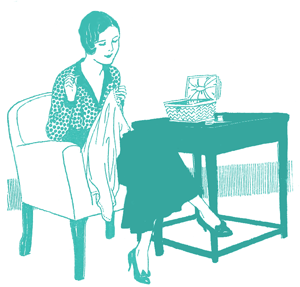 A candidate for one of the best-ever last-minute sewing tales! The lace is beautiful, and to have managed the layout to completely avoid the stains AND arrange the motifs so very fetchingly is a triumph. And cheap! And all those buttons. I’ll bet the people on this page could come up with some great last-minute, totally amazing transformation, triumphant repurposing stories. I’d read a book of those. With lots of photos, of course! Congratulations. It really does look wonderful. 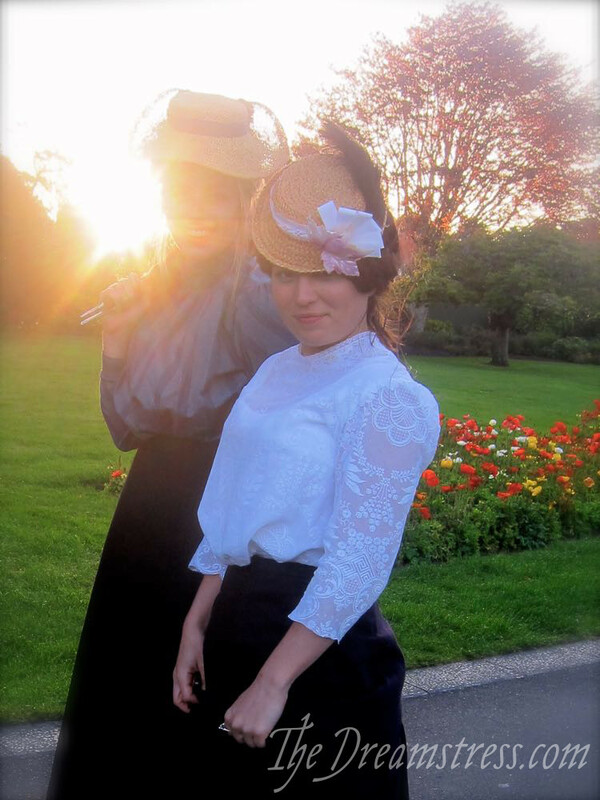 I, too, have used lace tablecloths for period garments. Some of the cotton ones look very authentic. Puke Park would have been beautiful at this time of year. Well done. I love the blouse, it’s absolutely perfect. 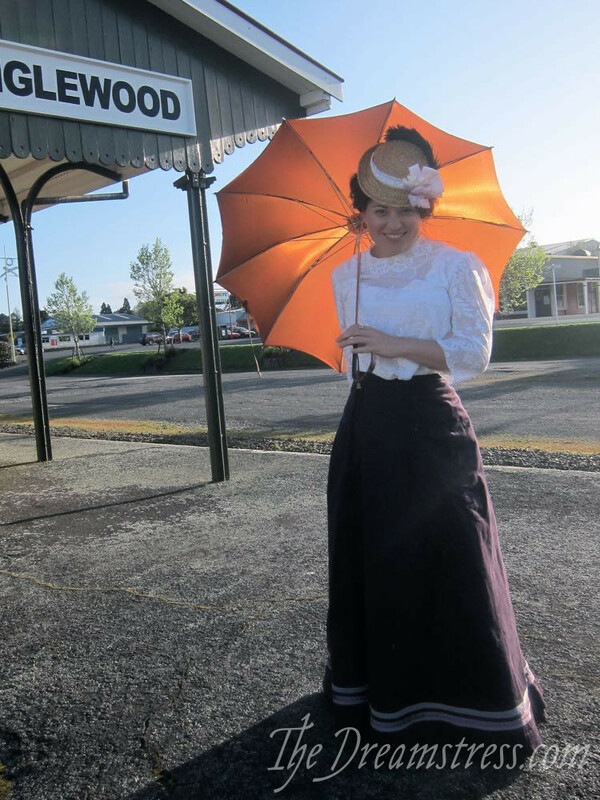 I’m so jealous of your Anne of Green Gables themed outing. I’d love to do something like that. Wow!! 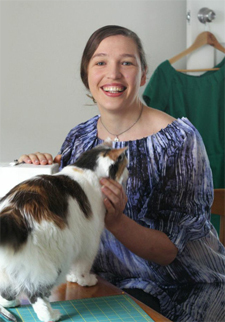 Amazing story and amazing blouse! I bet you won’t find another tablecloth exactly as you did this one. I’m going to start looking myself! I’m so glad you share your works with us. Very blessed to know you through the internet.